Molds are often expensive and hard to get. 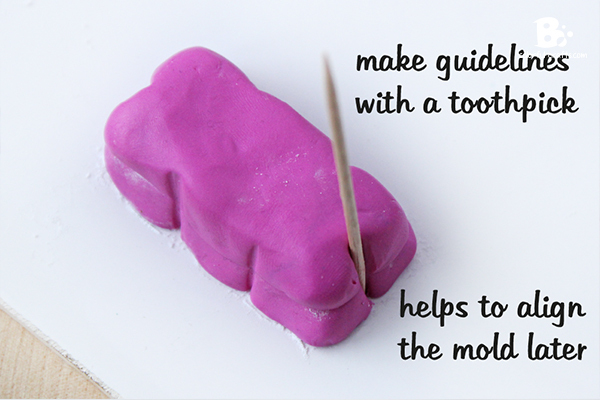 In this tutorial I show you how to make your own Mold with Polymer Clay. You can use it for random items and replicate them to your hearts desire. 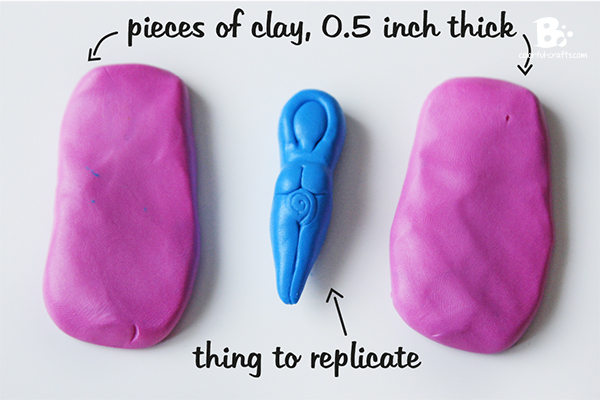 If you want to know how to make the little goddess figurine I use in this tutorial, check out this entry. It’s up to you which brand of polymer clay (available here*) you want to use. Most brands work fine, but you should use one that is very soft. 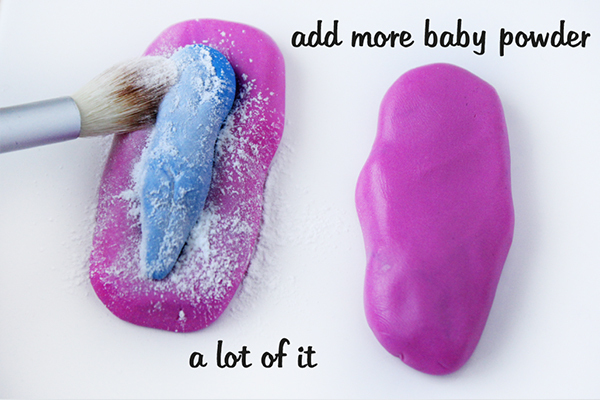 In this tutorial I used the brand “Fimo Kids” as it is the softest one I know and perfect for this kind of craft. 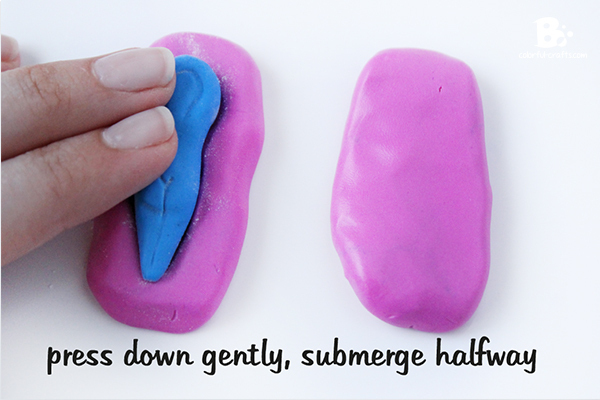 Tip: You can use leftover polymer clay in different colors for this tutorial, because it doesn’t really matter if the color of the mold is nice or not. 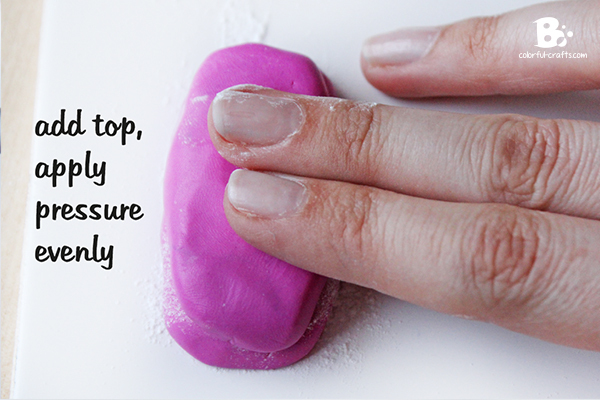 Knead the polymer clay with your hands to soften it up. Form two equal pieces for the mold. They should be larger than your pendant and about 0.5 inches thick. If your pendant (or whatever you want to replicate) is bigger, readjust the size of the mold-pieces accordingly. You need some release agent to prevent the clay from sticking together. Baby powder works fine. Apply an even layer with a soft makeup brush. 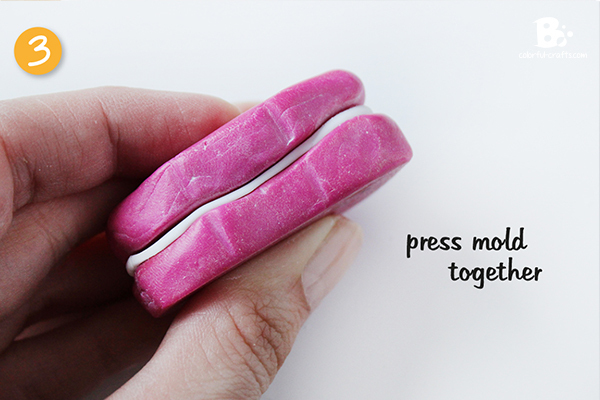 Press the pendant gently into one of the clay pieces. It should be submerged halfway. Take care not to press it too far down. The piece should be covered with at least 0,25 inch of clay on each side. 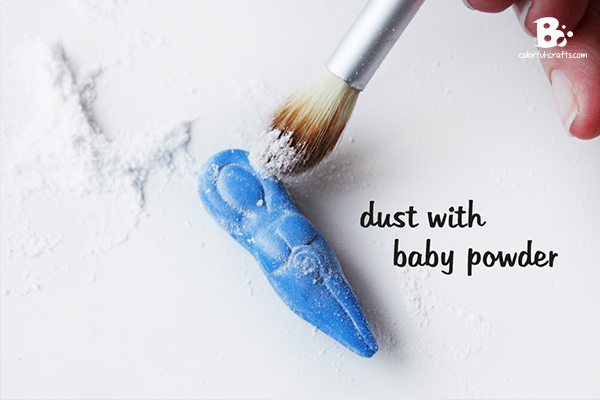 Add more baby powder with your brush. Especially the mold-piece should be covered generously! Seriously, add a lot! Apply the top piece and press it down gently. Also add some pressure from the sides to make sure your pendant is covered from every side. 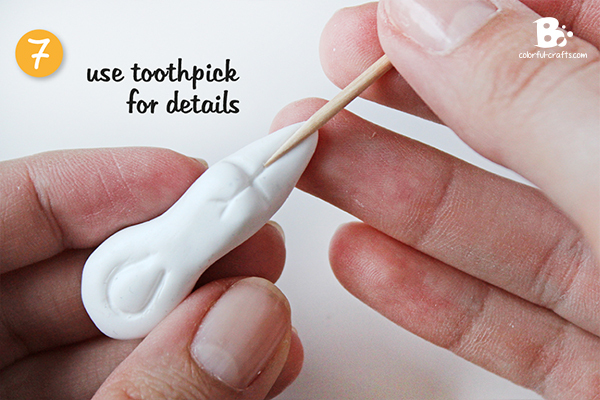 Make little guidelines on each side with a toothpick. They will help to align the mold pieces later. Bake everything according to the instructions on the package. For Fimo it’s usually 30 minutes at 110°C/230°F. Attention! If your pendant is not heat resistant, you have to remove it before you harden the mold. In this case, detach the two pieces as gently as possible and take care not to bend them. The mold is surprisingly sturdy. I used it to make over 50 little pendants and is still good as new. It has to do with the fact, that I used enough clay to make the mold. 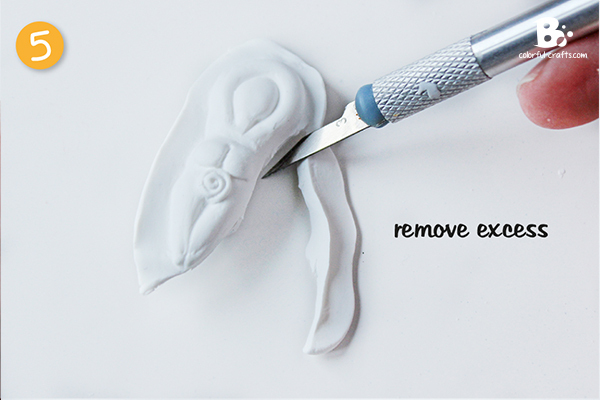 If you want to use the mold to make a pendant, you have to apply a lot of pressure. If the mold is too thin, it will break. 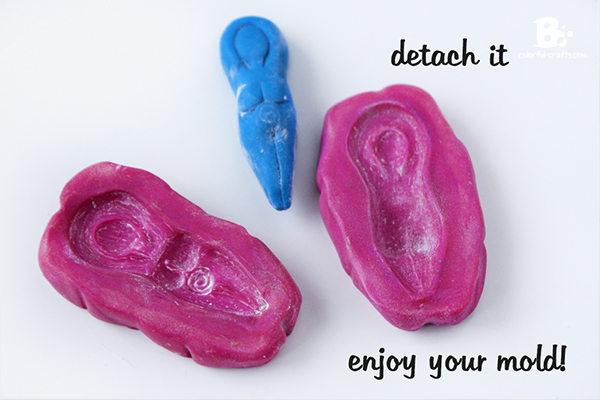 The mold works best if you use it with polymer clay. 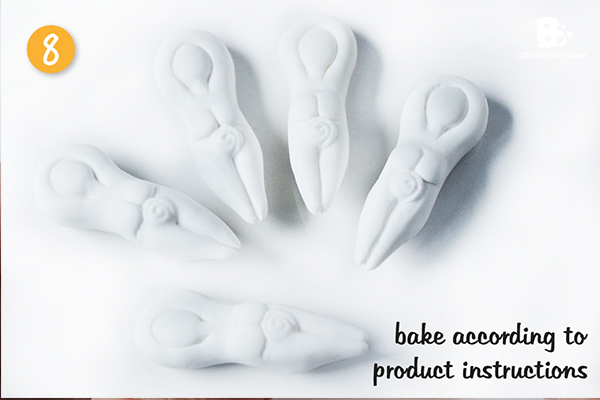 But you can also use other materials like air drying clay, wax or different brands of plasticine. The important thing is to apply a release agent every time. I always use baby powder. 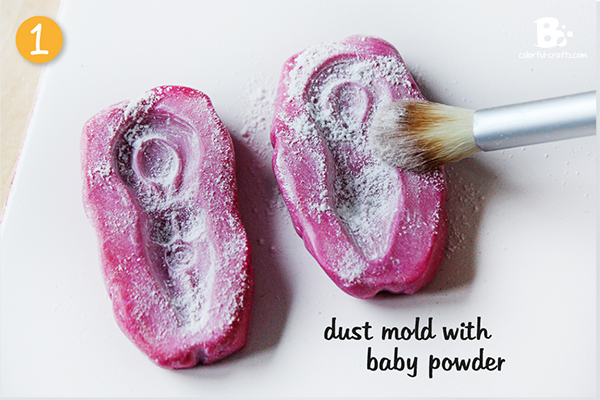 Just apply an even layer of powder with a makeup brush on your mold. 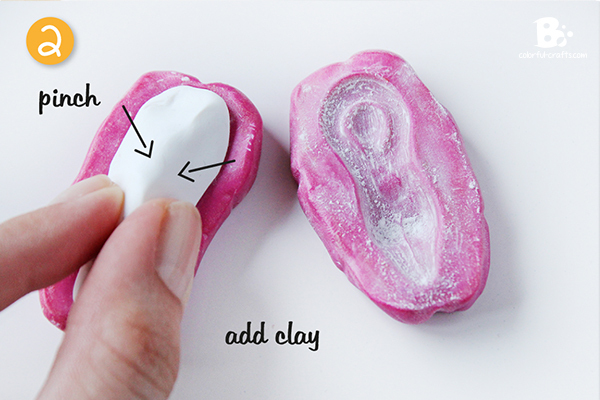 Add some polymer clay and pinch it slightly so the most part of the product is in the middle and not on the sides. Use a little more than you will need. 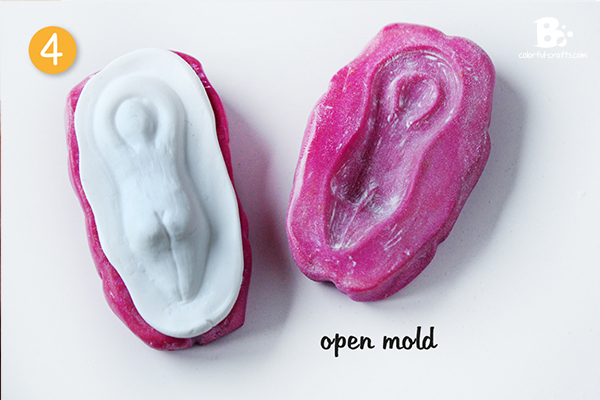 Press both parts of the mold together tightly. Use the guidelines to align them. Open the mold and remove the clay. It should come off easily if you have used enough powder. Remove the excess with a cutter knife. 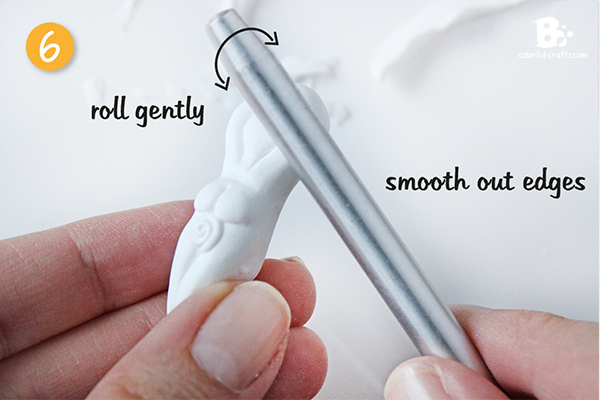 Smooth out the edges with gentle rolling motions. I always use the handle of my cutter knife for that purpose. Use a toothpick to redraw lines and correct mistakes. You sure make beautiful tutorials! (Well, this one is lovely, anyway; I haven’t seen any of your others.) (Yet; I plan to check to see whether you have more.) The photography is crystal clear and cropped nicely; the colors are pleasing; and best of all, you write really well. It’s shocking the lack of good writing I see these days. Your was so good that I was compelled to write this to give you props for a job well done. I suspect that if you’ve made any videos, they’ll be brief, concise, and not filled with a lotta “Um”s and umpteen “Now you’ll want to …” until I’m ready to stick pencils in my ears. You should be proud of yourself. Keep up the great work! aww thank you for your nice comments! You really made my day 🙂 Since English is not my native language, I’m always a bit concerned with my writing. I’m very glad, that you like it.